To give young people an opportunity to build hope in the connected world. 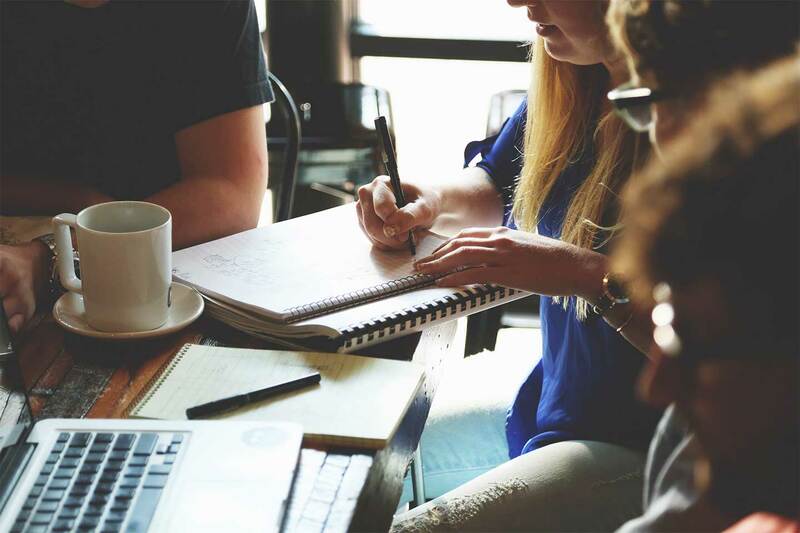 Offer a holistic and unique programme that encourages active engagement ensuring participant’s learn new competencies through implementation and immediate feedback. 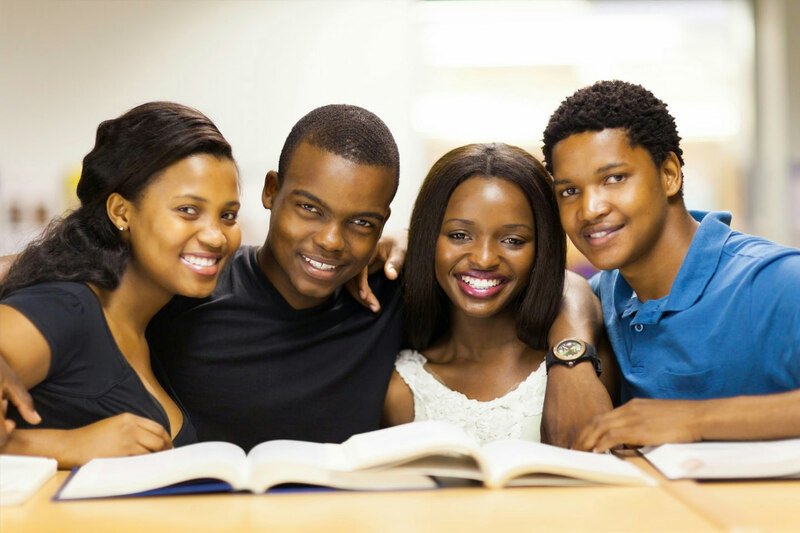 Develop competent, confident and self motivated young people who can participate in the economy and work towards achieving their definition of success. Who are you and how are you an extension of your brand? People’s beliefs and the discussions thereof can become very heated, at times to the point of destruction of life and property. We adopt beliefs based on our conclusions which are influenced by our past experiences and perceptions. For us our beliefs are the truth and it is obvious to us. The truth is based on real information that we select from the world around us which then becomes our reality. 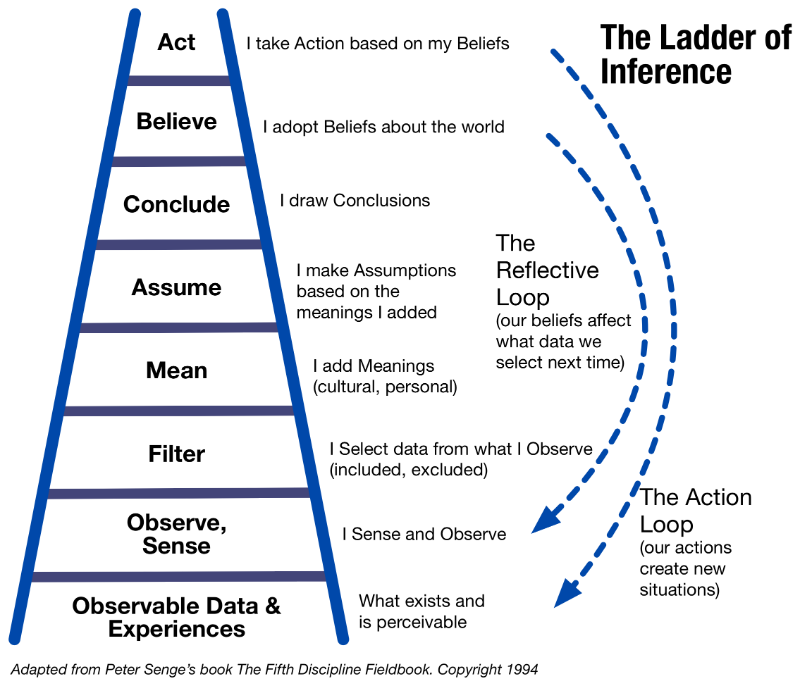 Use Peter Senge’s ladder of inference to reflect and test with practical daily examples. Of the four types, listening represents up to about 40 to 50% - the one we have the least training in. Most of us think we know how to listen because we think we are doing it all the time. But in reality we are more often than not listening within our own frame of reference. 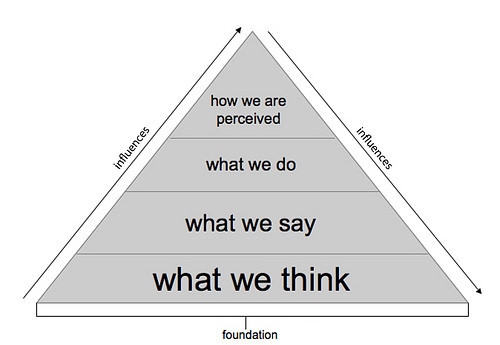 Our perceptions influence how we engage with the world around us. Our interactions with people, objects, music, food and events all influence the way we feel, think and respond to everyday life, most of the time without even knowing it. The way we perceive the world (people, language, culture, nationalities, nature, etc.) influences the way we are going to behave. Perceptions are not right or wrong. However, they are going to influence our response and therefore future stimuli. The world around us is full of danger and has been since caveman times. For thousands of years there have been dangers that have wanted to slow us down, prevent our successes and maybe even kill us. It’s nothing personal, it’s just the way it is. Today, these threats to our survival are still very real. 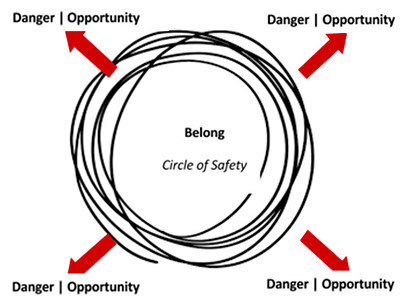 For us to not only survive but also succeed, we need to build ‘circles of safety’ where we feel we belong; a place where we feel free of danger from one another, where we have a clear set of human values and beliefs; a ‘circle of safety’ where we are free to make decisions that will improve ourselves and others because trust and empathy exist. Only when we feel that we are in a ‘circle of safety’ will we pull together as a unified team and achieve greater success together. However, challenges start to exist when people belonging to different circles of safety start fighting with one another or when internal factions start occurring in a circle of safety. Reflect on this in your daily life, in the South African context and in business. 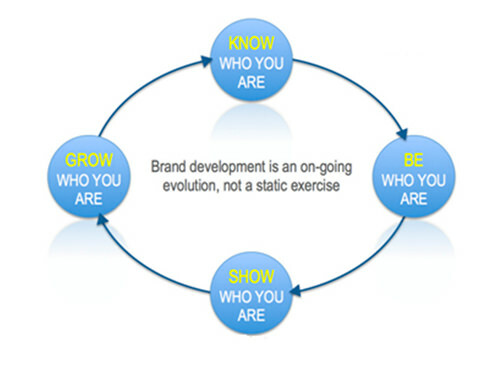 Who you are and how are you an extension of your brand? To help in this discussion, reflect on ‘your why’ using Simon Sinek’s Golden Circle. Watch and discuss in groups. Brand comes at a cost! 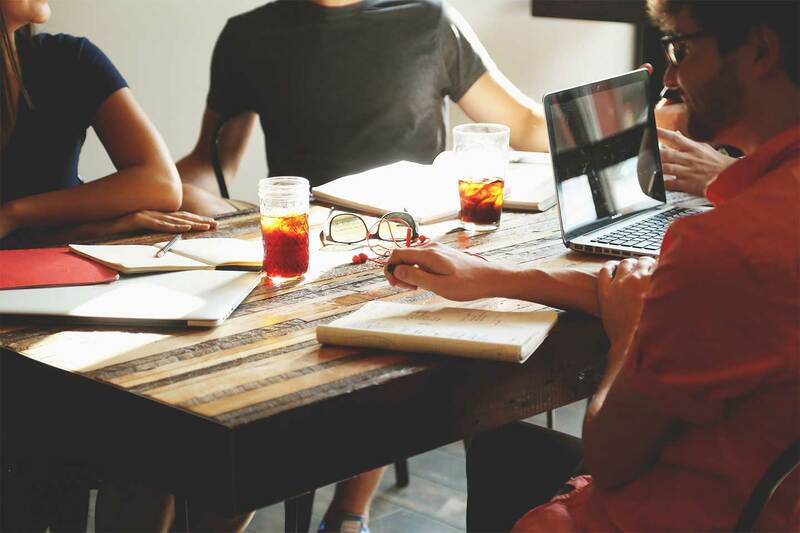 To develop your brand and turn it into a sustainable business, you need to get into the numbers and make sure that you become financially savvy or smart enough to understand what you need to outsource! However, have an understanding of the basics of whatever you outsource. 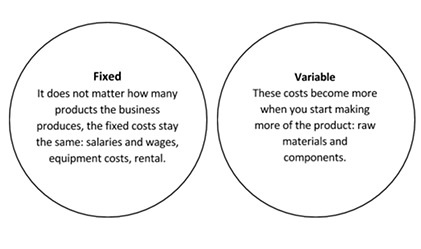 The pricing of a product affects the chances of the long-term success of a business. The aim of pricing is to sell enough of the product to make a profit. Pricing is one of the four ‘Ps’ of marketing mix (Product, Pricing, Promotion and Place – refer to Module Five). It affects other marketing-mix components and is therefore crucial to producing a profitable bottom line. Can your target market afford the product? How much of the product will the customer buy? Will the profit be enough to sustain the business and allow for future expansion? 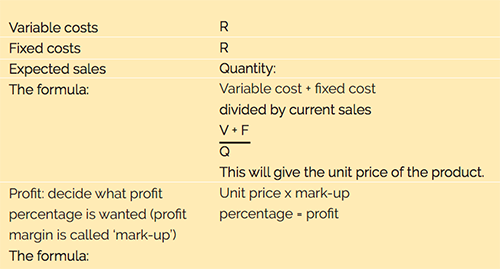 In order to determine the selling price of the product, the business has to determine the fixed costs and variable costs of the product and then add a percentage to the total. The percentage you add to the total will then be your profit margin. Too often we underestimate the start-up costs, so rather overestimate, be on the safe side and don’t open yourself up to a horrible shock down the line! Please click here and work out your start-up costs. If you can’t run your personal finances, how are you going to run a business? Be in control no matter how scary things look. You don’t want to be an ostrich with your head in the sand! Please click here. When writing HTML, you add 'tags' to the text in order to create the structure. These tags tell the browser how to display the text or graphics in the document. 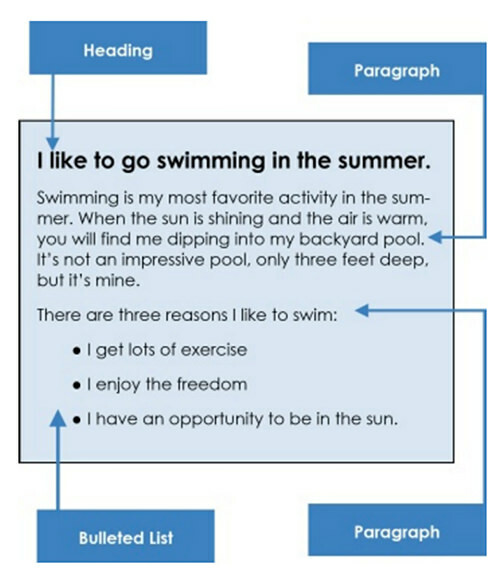 For example, the following document has a simple layout (structure). Notice there are three major parts: a heading, two paragraphs and a bulleted list. To achieve a similar layout in a browser, you use a text editor. This is where you put all your code and content. 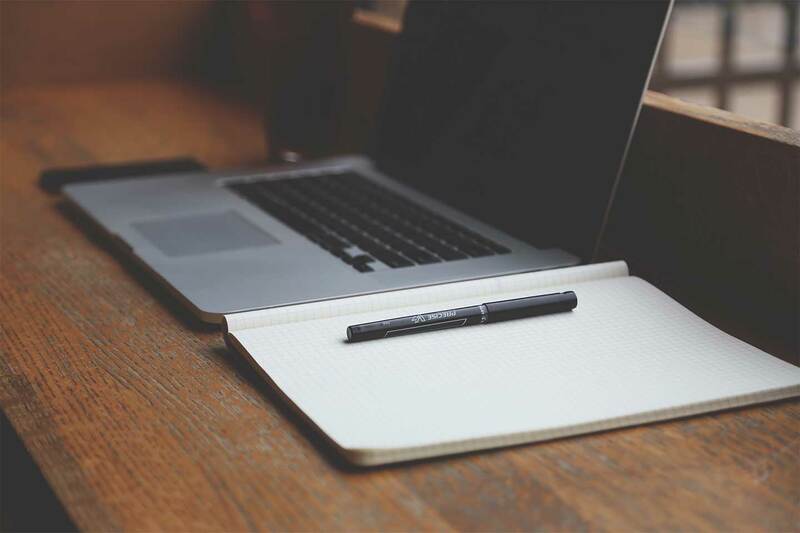 For the PC, it’s Notepad; for the MAC it’s TextEdit. Below is the code (in green) and text for this page. Go to the LEARN HTML icon on your desktop and play the game. Cascading Style Sheets (CSS) is a language for specifying how documents are presented to users. These documents are written in a markup language such as HTML. If you want to make the text on the website bold and red, you use a stylesheet to manage it. 1. Create a new directory on your computer to save and organise the tutorial exercises. 2. Open your text editor and create a new text file. This file will contain the document for the next few tutorial exercises. 3. Copy and paste the HTML shown below. 5. Open a new tab or a new window in your browser, then open the file you have just created. 6. You should see the text with the initial letters bold, like this: Cascading Style Sheets. Action: Creating a stylesheet document and linking your HTML document to your stylesheet. 1. To link your document to your stylesheet, edit your HTML file. In its simplest form e-commerce is the buying and selling of products and services by businesses or consumers over the World Wide Web. Open www.amazon.com - the worlds largest online retailer. Open www.takealot.com/ - 18 departments, 9 million products. Fast, reliable delivery to your door. 9 flexible payment methods. Safe, secure, online shopping in South Africa. What type of e-commerce site are they? How do they create revenue? WooCommerce is a free e-commerce plugin that allows you to sell anything through your WordPress website. It allows you to manage stock, and connects to your bank so you can take credit-card payments.